Three leading makers of motherboards on Friday disclosed specifications of yet-unannounced AMD Ryzen Threadripper 1920 processor. The chip has 12 cores, works at slightly lower frequencies than the model 1920X, but also comes with a lower TDP. Unfortunately, it is unknown when the product is set to become available. So far AMD has publicly introduced three microprocessors in its family of CPUs for super high-end desktops/workstations: the Ryzen Threadripper 1950X (16 cores, 3.4 GHz), the Ryzen Threadripper 1920X (12 cores, 3.5 GHz), and the Ryzen Threadripper 1900X (8 cores, 3.8 GHz base). 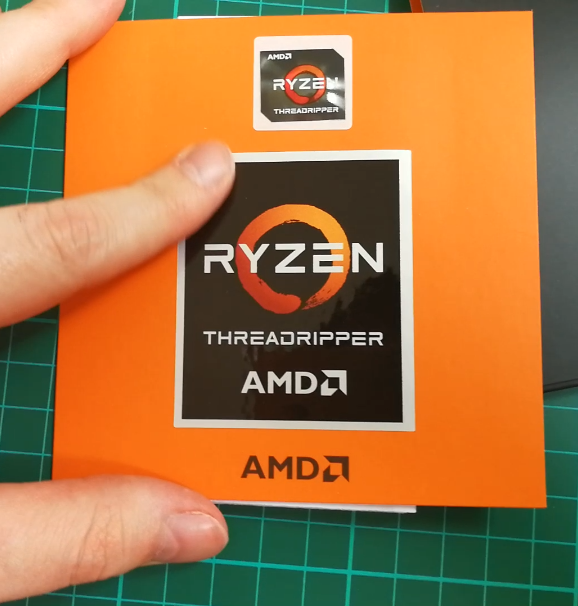 AMD has never made any announcements regarding any other members in the Ryzen Threadripper family, or if three would be the limit - and it appears there is at least one more incoming. According to CPU support lists of the ASUS ROG Zenith Extreme, ASRock X399 Professional Gaming/X399 Taichi as well as GIGABYTE X399-Gaming 7, which were published this week, the 1920 (without an X) will also make a showing. The Ryzen Threadripper 1920 will have 12 cores with simultaneous multithreading, a 3.2 GHz base frequency, a 3.8 GHz turbo frequency, and the full 32 MB of L3 cache. The differences between the 1920 and the 1920X are lower clock rates and AMD’s XFR speed boost on the 1920: typically Ryzen CPUs without the X have half the XFR. Another difference is that the AMD Ryzen Threadripper 1920 will have a 140 W TDP, down from 180 W of the higher-end models, due to the lower frequency settings. This is for similar reasons as the 95W/65W TDP differences between the 1700X and 1700. The lower clock speed of the 1920 should be indicative of a slightly lower level of performance than the 1920X, and should mean that it will be cheaper than the 1920X ($799), but somewhat more expensive than the Threadripper 1900X ($549). 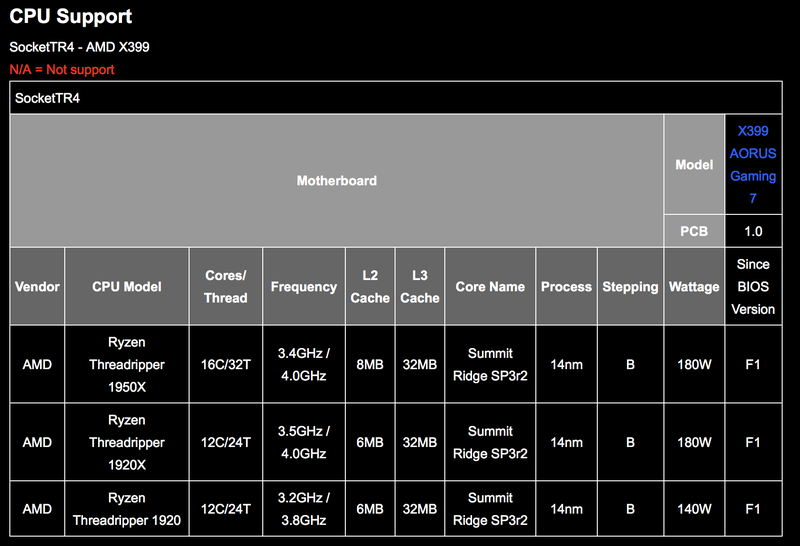 The fact that the Ryzen Threadripper 1920 is already supported by motherboards probably means that one can expect its launch in the coming weeks or months, but perhaps not right after the Ryzen Threadripper 1920X and the 1950X that land on August 10. Meanwhile, an interesting point to add here is that the CPU support lists from ASUS, ASRock and GIGABYTE do not indicate they support the 1900X with eight cores, which is announced to be on shelves on August 31st. Sources: Motherboard Makers via Hexus.